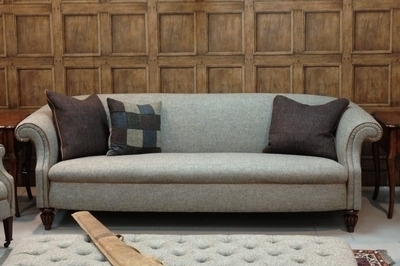 An edwardian style chesterfield sofa with elegant curves and simple lines. Made in Great Britain with glued, screwed and dowelled hardwood frames. Hand polished hardwood legs with antique brass ferrules. This sofa comes with two feather filled scatters.